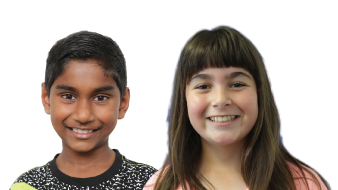 At Kip McGrath Upper Hutt, we focus on English and maths tuition for primary and secondary students. Success in learning helps to boost a child’s self esteem and encourages a positive attitude towards learning. Focusing on English, reading, spelling, comprehension and maths, we will create an individual learning programme specifically designed to suit your child’s needs. Each session includes one-on-one attention with a tutor and a combination of written and computer-based activities in a small group learning environment. Our qualified Kip tutors constantly monitor and adjust this programme as your child progresses. Our centre supports the requirements of the National Curriculum and allows your child to work at their own pace without the fear of failure, therefore allowing them to experience success. Book a FREE assessment today and find out how we can help your child build a brighter future!